Co ordinate additional crew & equipment. Liason for International productions shooting in Australia. Strauss is a "boutique" production facility operating from the Glenhaven / Dural area, 40 minutes North West of Sydney CBD. 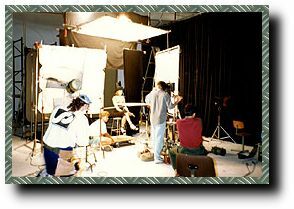 The company essentially supplies film and television production facilities and crews for either studio and or location shooting. The clientele is broad, including independent producer/directors, production companies, advertising agencies, television stations or clients and corporations direct. The facility has been owned and operated since 1981. Prior to that Grant had spent 10 years learning his craft at a major Sydney TV Network where he started in "on air" operations progressing through the studio and outside broadcast system to eventually attain the position of a commercial production producer/director. It was then 1981, when he left to start and develop his own production facility - Strauss Productions. Strauss essentially shoots high quality videotape working with Sony DVW-709WSP Digital Betacam equipment supported by a large compliment of sound and lighting equipment. The equipment is owned and "in house". 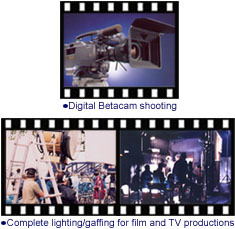 Film production is also undertaken with the necessary cameras, lenses etc. brought in as required. Strauss Productions Pty Limited is a registered Australian limited liability company ACN 002 162 781. Strauss is the vehicle in which Grant Watson, the owner and company principal operates as a Director of Photography & Gaffer, yes strange combination, but, Grant loves his craft and feel one compliments the other, "I have no problem just lighting...." Grant is supported by a dedicated freelance team operating from a simple two man ENG style crew through to a DOP/Producer co ordinating the technical aspects of a large TV commercial, programme, film or corporate production. The client base is broad including independent producer/directors, production companies, advertising agencies, television stations news and current affairs or clients and corporations direct. Strauss also runs a lighting truck/ gaffing facility that is dry hired with Grant or other gaffers familar with the truck and equipment. 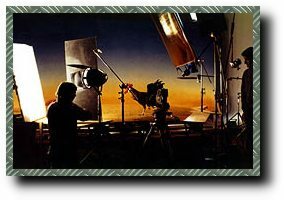 Strauss has grown steadily and is able to offer solid location production facility advise, co ordinate and supply all your technical location or studio requirements through to "hands on" shooting the job be it tape or film. Grant holds both Australian and British passports enabling him to work freely in the UK and throughout the EEC. When at home base in Sydney, Australia, Grant and the crew travel to many different locations as required be it by road with equipment travelling in Strauss trucks and vans or by air depending on the production requirement. Use this form to contact us and we will respond as soon as possible. Please provide as much detail as possible about what you want to know. Thankyou.